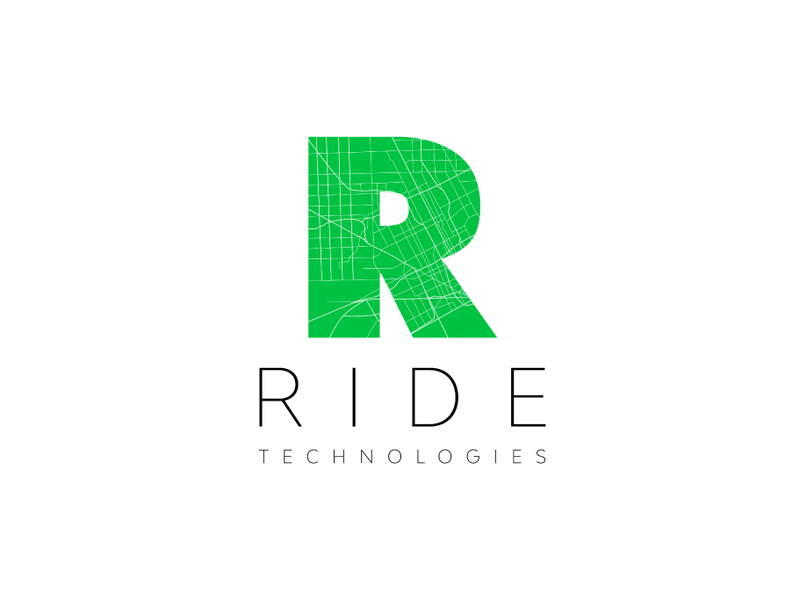 RIDE Technologies is a Detroit-based startup that provides end-to-end ADAS and autonomous driving technologies for clients. RIDE hired the midnight oil group to bring their visual brand to life and create a digital footprint for them. 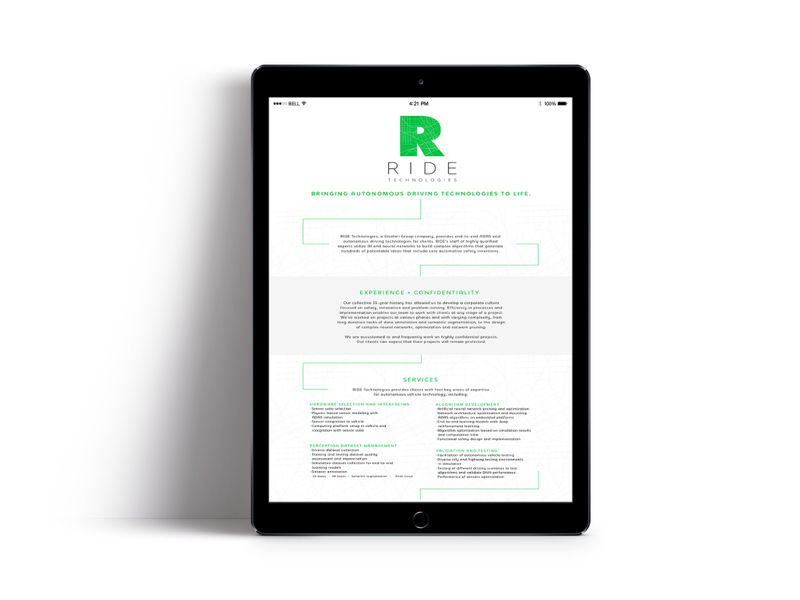 RIDE Technologies wanted a visual identity that whispered at what they do without restricting their inevitable growth. 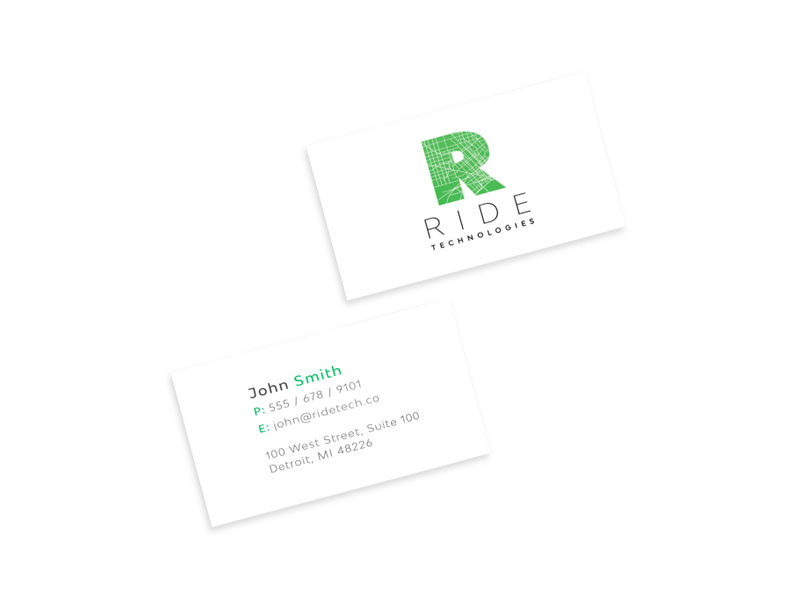 In order to begin networking their new venture, the team at RIDE needed business cards that reflected their new visual brand. Keeping with the logo’s color palette and clean lines, the midnight oil group designed a business card that focuses on quality details, not quantity of content. With a tight deadline on the horizon, the midnight oil group launched a simple landing page for RIDE so that their digital footprint was established.